Anand Subramanian, Managing Director, leads PolicyLink efforts to advance police accountability and community-led alternatives to policing, including serving as the executive director of the San Francisco Blue Ribbon Panel on Transparency, Accountability, and Fairness in Law Enforcement. 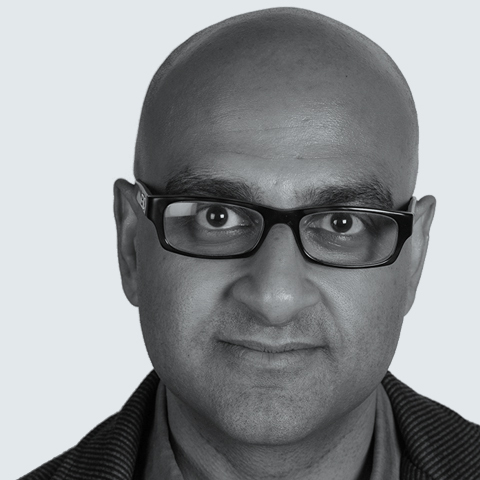 Anand also co-directs PolicyLink Legal and oversees work on fines and fees and arts, culture, and equitable development. He formerly led strategic communications for PolicyLink work in California, including the Alliance for Boys and Men of Color. Prior to joining PolicyLink, Anand worked at the Insight Center for Community Economic Development, the Law School Consortium Project, and as an associate attorney at Sheppard, Mullin, Richter, and Hampton after earning his JD from Northwestern University School of Law. He sits on the board of directors of the national advocacy organization, South Asian Americans Leading Together (SAALT), and sings and plays guitar in the band Fair and Kind.